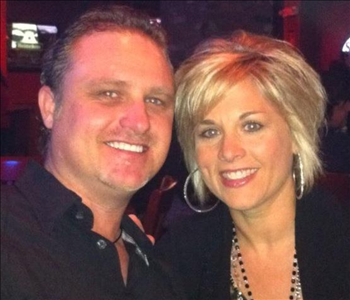 Meet Our Owners, Jeff & Kristi Stokes! Imagine a pipe busts in your home late Saturday night, or a electrical fire erupts at your office over Christmas. Your first thought is probably, "Who would even come out at this hour?" or "No one will be open on the holidays!" But this is where we step in. We are a 24/7 emergency service restoration and cleanup company, and we are there when you need us. We have over 18 years of experience and are equipped with groundbreaking technology and methods to restore your property as soon as possible. Our owner, Kristi Stokes, facilitates the family owned and operated business and has worked every aspect of SERVPRO of North Richland Hills. Whether it is office, marketing, or production, she has seen it all and knows how to handle your home or business in times of critical action. 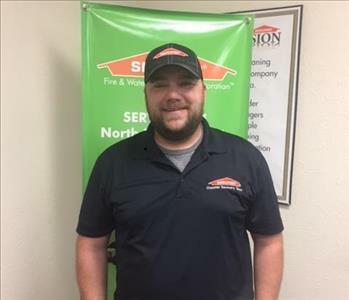 Located in Fort Worth, Texas, SERVPRO of North Richland Hills understands the stress and worry that comes with a fire or water damage and the disruption it causes your business and life. Our goal is to help minimize the interruption and quickly make it "Like it never even happened." SERVPRO of North Richland Hills specializes in the cleanup and restoration of commercial and residential property after a fire, smoke or water damage. 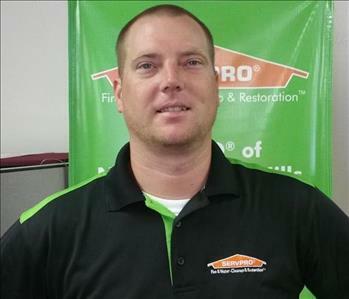 SERVPRO of North Richland Hills can also mitigate mold and mildew from your home or business. Our staff is highly trained in property damage restoration. From initial and ongoing training at SERVPRO’s corporate training facility to regular IICRC industry certification, rest assured our staff is equipped with the knowledge to restore your property. With a nationwide system of qualified offices, no damage is too large or too small for SERVPRO of North Richland Hills. If you would like to schedule service for your home or business, please call or email us today!